Naljor Prison Dharma Service is an outreach project of SourcePoint Global Outreach. We provide resource materials to men and women in prison throughout the United States, to numerous prison outreach organizations, and to individuals working directly with those inside prison. Through this outreach project, we provide an excellent 29-page Resource Directory for Prisoners, and a selection of teachings on wisdom, compassion and nonviolence which we call The Heart of Dharma Collection. 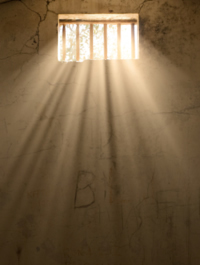 Our Resource Directory offers prisoners an open horizon of possibility and potential for personal support and psychological and spiritual well-being. The Resource Directory for Prisoners provides inmates with access to Bible correspondence courses, Bibles and supportive Christian literature; Buddhist teachings and courses; Hindu teachings and courses; meditation instructions; Native American teachings, legal support, free books, pen pals, and much more. Most of the organizations listed in our Resource Directory offer their services, books and literature free of charge to prisoners. The Resource Directory for Prisoners is a priceless gem for those seeking resources for creating a better life for themselves. Those inside the United States prison system can readily access the inspirational literature and personal support offered by well-funded mainstream religious organizations. However, this is not always the case for those interested in the Buddhist path of awakening or other potential avenues which can support one’s psychological and spiritual well-being. In light of this, our present array of resource materials are provided specifically to meet this growing need. At this time, Naljor Prison Dharma Service is no longer mailing resource materials directly to those in prison. However, the entire array of materials we offer is available free of charge on this website, easily downloaded or printable, for families of prisoners, prison chaplains, and for individuals or organizations involved in supporting the well-being of those in prison. Click here to view the resources we offer.